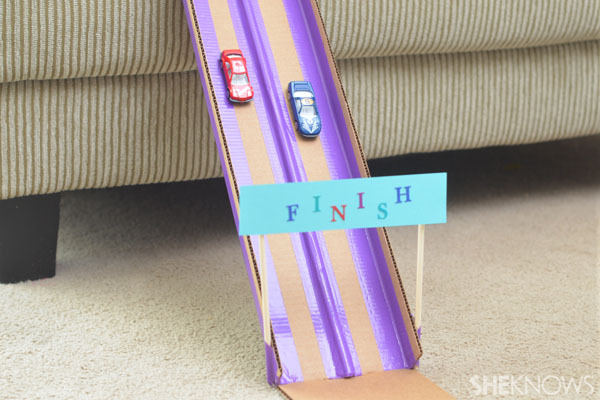 With all of the toy cars we have floating around the house I thought I would compile a list of diy toy car race tracks to keep our toy cars (and kids) happy. Each of these 7 ideas will provide hours of fun are affordable to make and kids can help with most of them. 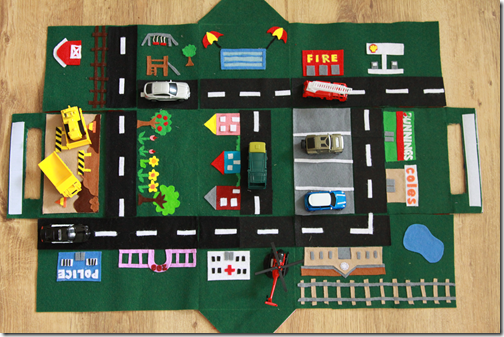 This diy felt car play mat is every car lovers dream. A super cute car track complete with houses and a fire station. Easy to add your own ideas to suit your child’s interest, a farm or ice-cream shop maybe? The best part of all is the red carry bag house it folds up into, ideal to keep all of those cars in one place! Click here for the full tutorial. 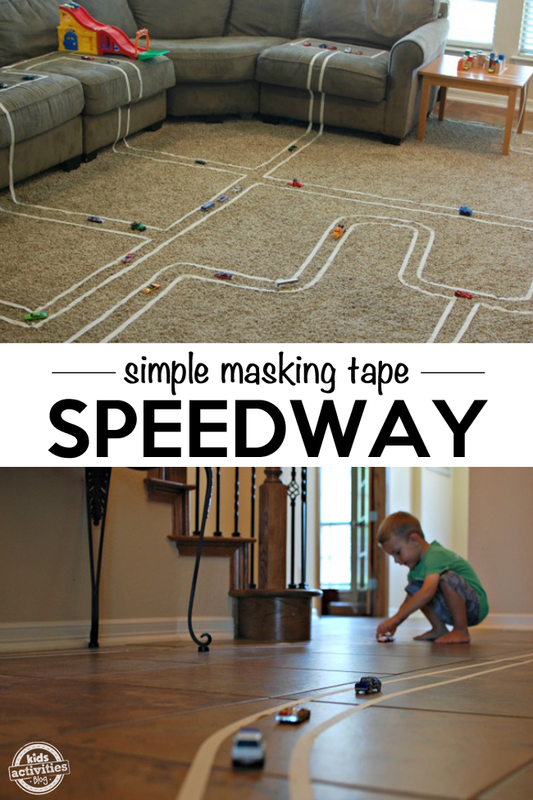 Easy, fun and especially fantastic for older children who are able to design and make this car track by themselves. This car track will provide hours of entertainment with the benefit of being able to simply remove once your child has finished playing with it. Find out more here. This fabulous car track is made from two rubber doormats. 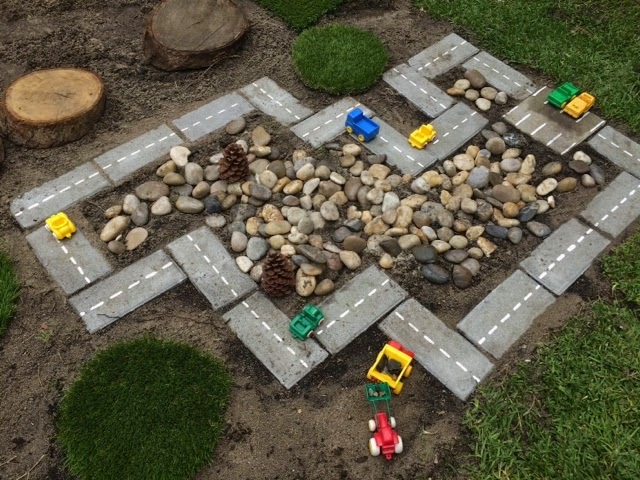 Your little one will have lots of fun moving the road pieces around to create different car tracks. 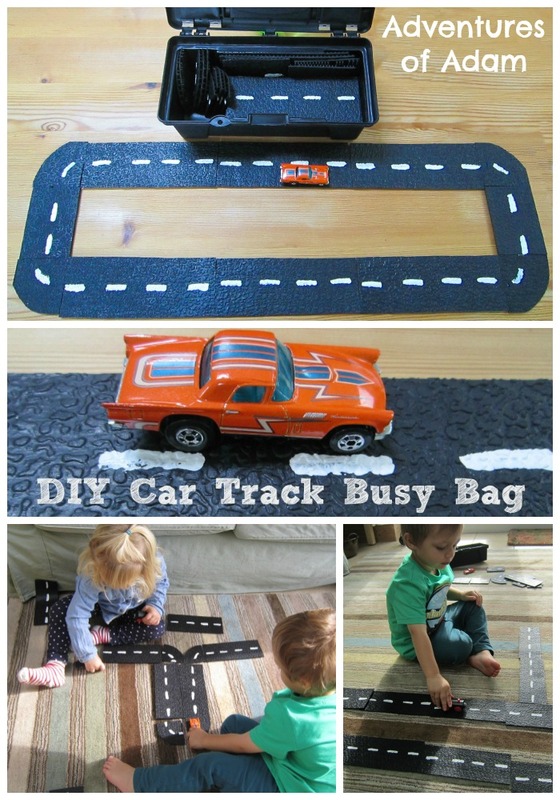 More about this cost effective diy kids car race track can be found here. 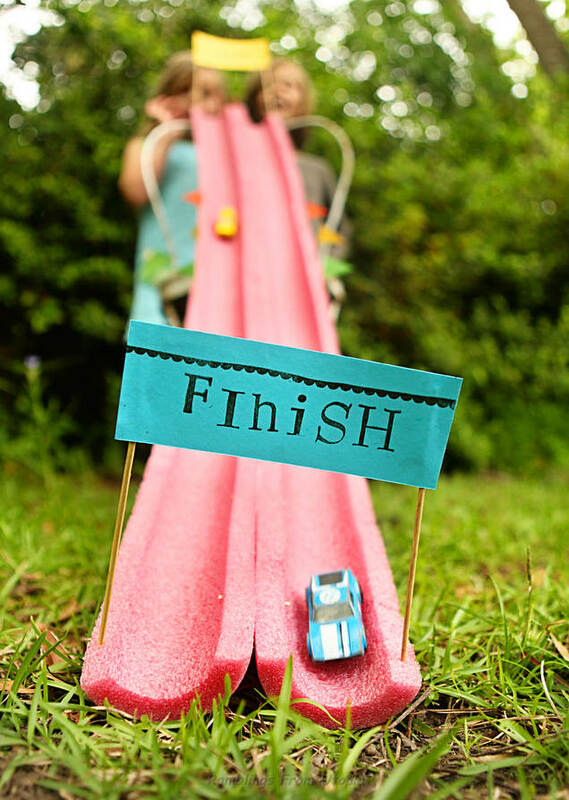 There is no need to spend money on a plastic downhill race track when your children will get as much enjoyment from this diy version. It takes around half an hour to make and is perfect for days indoors when the weather isn’t great. Learn how to make it here. Take the downhill speed racing outside with this pool noodle car track. The tutorial can be found at Ramblings From Utopia. This ultimate backyard race track comes with a tunnel, pond and sandpit. Simple to build but looks amazing. 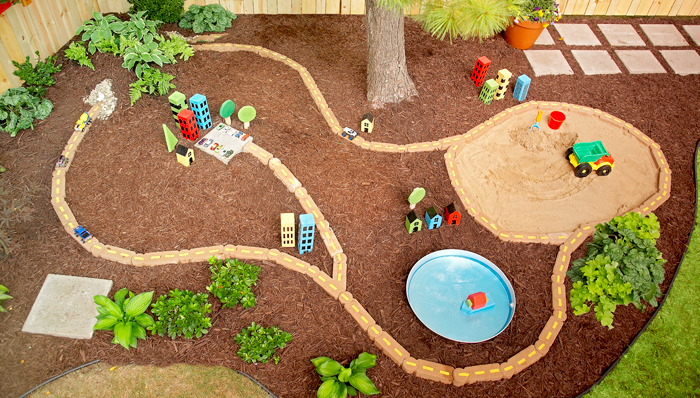 Click here to find out how to transform your backyard into this play paradise. This outdoor diy race track looks just like the real thing with the use of grey road like bricks. It is sure to make your mini car racer happy. Click here for more information. Next Article They Upcycled an Old Table by Putting Thousands Of Pennies On It. The End Result? Absolutely GENIUS!